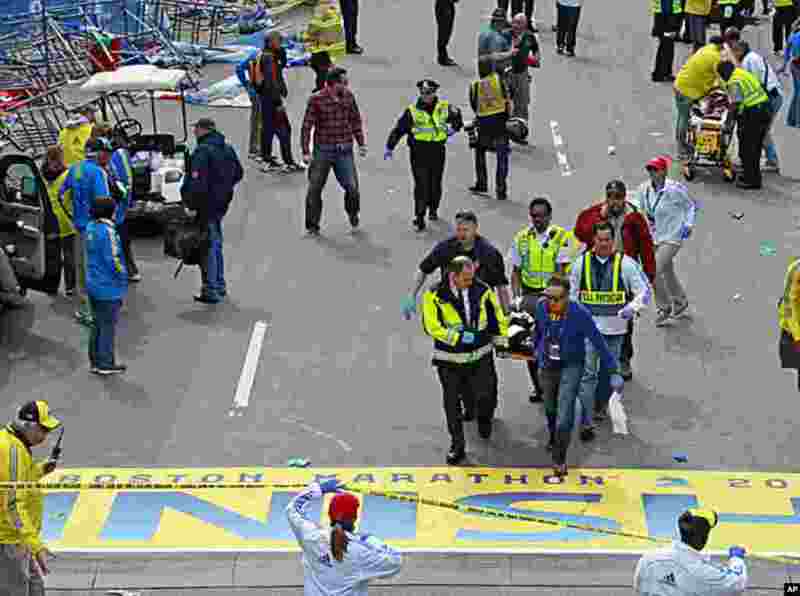 Two explosions occurred near the finish line at the Boston Marathon on April 15, about four hours after the start of the race. At least three people were killed, and more than 170 were wounded. 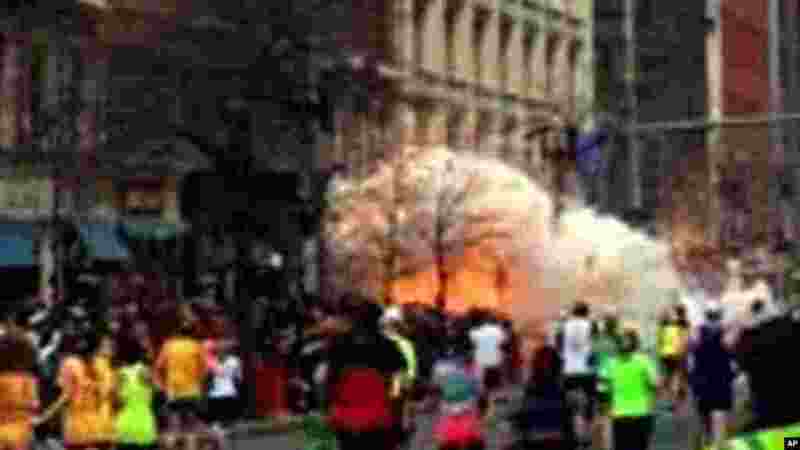 1 In this image from video provided by WBZ-TV, spectators and runners run from what was described as twin explosions that shook the finish line of the Boston Marathon, April 15, 2013. 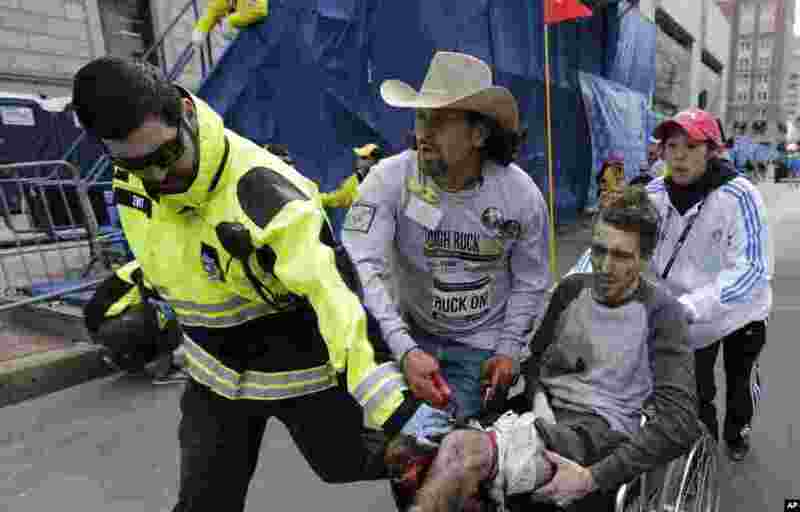 2 An emergency responder and volunteers, including Carlos Arredondo in the cowboy hat, push Jeff Bauman in a wheel chair after he was injured in an explosion near the finish line of the Boston Marathon April 15, 2013. 3 Medical workers transport the injured across the finish line during the 2013 Boston Marathon following an explosion, April 15, 2013. 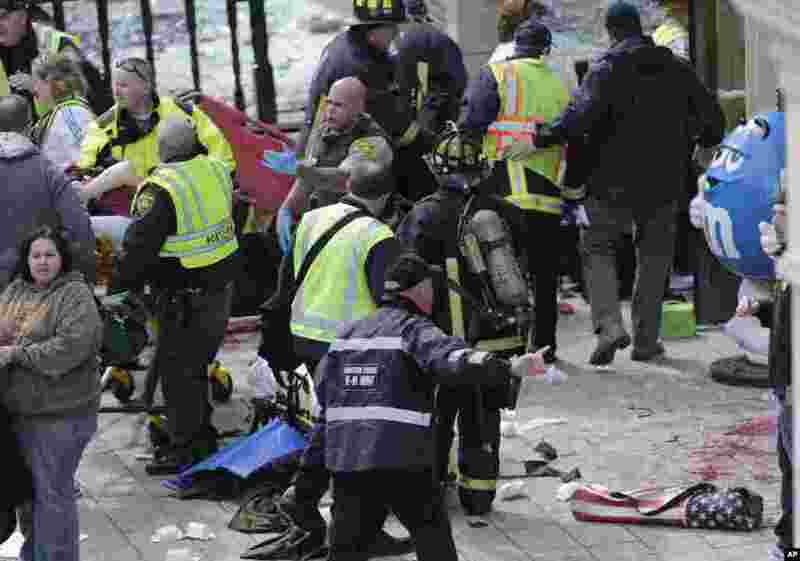 4 Medical workers aid injured people at the finish line of the 2013 Boston Marathon following an explosion, April 15, 2013.